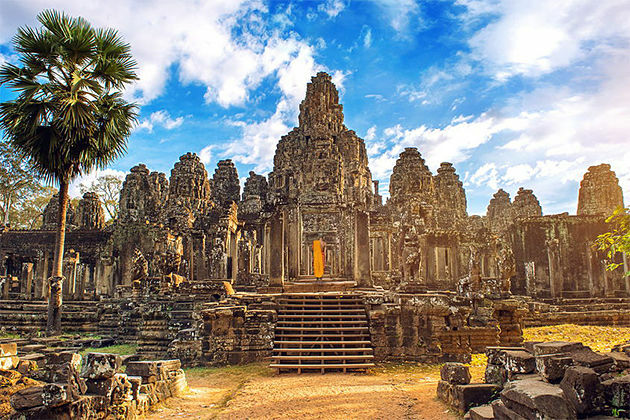 The Kingdom of Cambodia is one of the new and most attractive tourist destinations in the world where Angkor Wat complex in Siem Reap province, as well as attractive cultural sites in Phnom Penh and beaches in Sihanoukville, are located. Famous beaches in Sihanoukville, including Koh Rong Samloem, is a dream paradise to “escape” during your Cambodia tour packages. 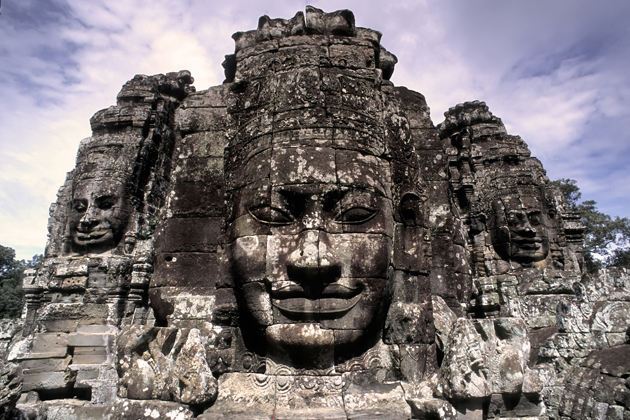 Referring to the Cambodia tour, you will only think of ancient and mystical Angkor Wat complex while many people have not thought of coming to Cambodia to swim or go to the island. In fact, Cambodia has many beautiful beaches not inferior to Thailand or Indonesia, these beaches even still retain the beauty of the wild than other places. If you are looking for a beach or island to “escape”, and do not want to flinch at such familiar locations as Phuket or Bali, Koh Rong Samloem Island in Cambodia will be a great suggestion. Koh Rong Samloem is a 2.5-hour boat ride from the coastal Sihanoukville city and 40 minutes by speedboat. Sihanoukville is located in southern Cambodia, quite close to Phu Quoc Island in Vietnam. Koh Rong Samloem is the second largest island in Sihanoukville with a white sand like ice cream, the beach is extremely safe for people who can not swim. You can lie on the beach to read, soak in the clear water, or see the blue sky here. 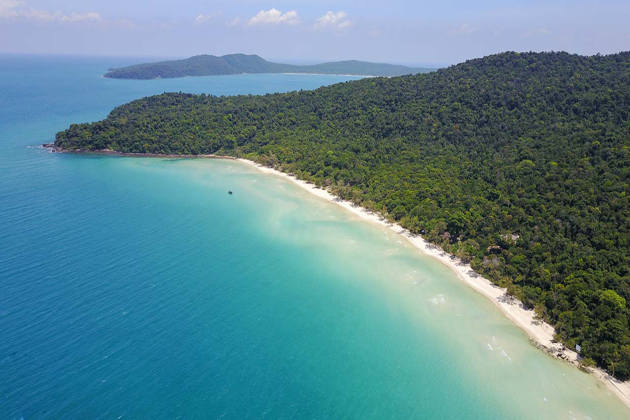 Currently, Koh Rong Samloem is becoming a phenomenon on social networks and is considered one of the most attractive tourist attractions in the world in the next 10 years. There are many spectacular places to visit on Koh Rong Samloem. One of them is the main tourist beach – Saracen Bay, creating a quiet atmosphere with the resort in front. Enjoying a Khmer culture at M’Pai Bay, or staying away from a busy life with a Robinson Crusoe trip at Lazy Beach and Sunset Beach is also interesting. Most people visit Koh Rong Samloem between November and early May, as during these months there are wonderful hot days with little cloud and low humidity. 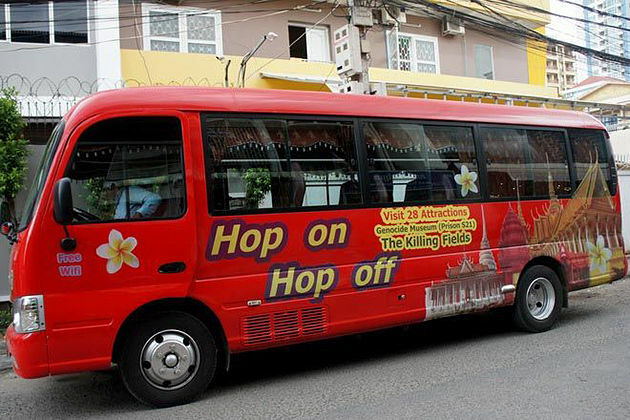 By 2018, there are five modern ferry services from Sihanoukville to Koh Rong Samloem. Services offer modern speedboats with comfortable chairs, life jackets, and the option to purchase food and beverages on board. Whether you want to stay, relax, and admire stunning views, swim in the fresh ocean, explore exotic wildlife, or explore the historic Khmer culture in the Koh Rong Samloem is fascinating for your Cambodia holiday. There are two local villages in Koh Rong Samloem: M’Pai Bay (North) and Koh Rong Sanloem Phumi Khang Khnong (in the South). There is also a small hamlet in the southwest (called Phumi Kang Kaur, which means “An outside village”). Most local people live on fishery (70%) and small-scale farming (30%). Previously there was a network of baselines built on the island during the French protectorate. However, now, these roads are almost invisible and covered by vegetation. A trace of this period is a lighthouse in the south. This has become a small tourist attraction and can be reached by walking through the forest. 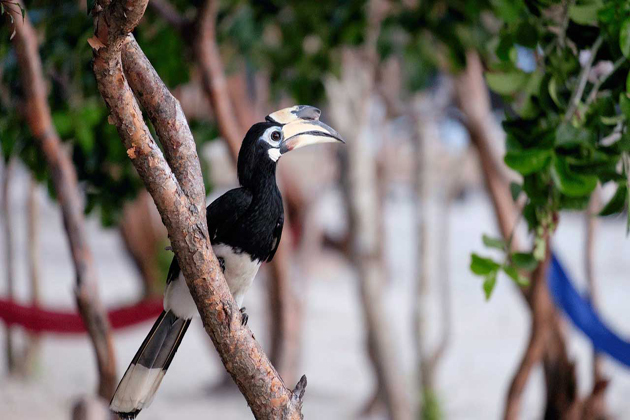 There is much spectacular wildlife on Koh Rong Samloem island, including a group of monkeys that can sometimes be spotted while walking on the Jungle Trail, and wild birds such as giant hornbills, eagles, and hawks. The small coral reefs and rocky surfaces of the waters are homes of many marine species such as seahorses and captive fishes. Koh Rong Samloem is about 9km long (north to south), 4km wide (east to west), and 1km wide at the narrowest point. The topography of Koh Rong Samloem is dominated by hills, with some average mountains with a maximum height of 210m (689ft) in the northwest. Most of this island’s area is covered by thick forests, with sandy beaches and a number of beautiful beaches (three golden sand beaches on the island’s west coast), two of which have been developed to suit with Cambodia tourism. They are Lazy Beach and Sunset Beach. The east of Koh Rong Samloem consists of bays. A great feature of the island is the 3km crescent Saracen Bay Beach. This beautiful bay has its name derived from a British survey ship – HMS Saracen. 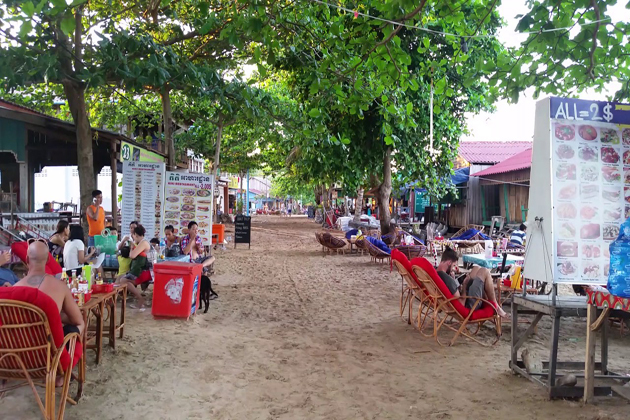 This is the main tourist area on Koh Rong Samloem island. North Koh Rong Samloem is an uninhabited ‘Koh Koun’ island, followed by beautiful Koh Rong Island. 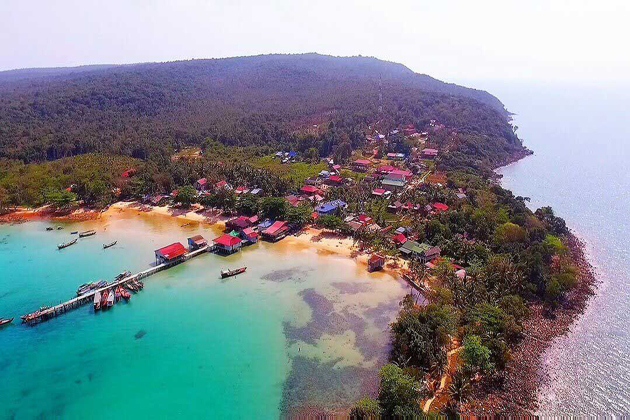 Visitors to Koh Rong Samloem are most crowded from November to May, especially at the weekend, most hotels and resorts are sealed and high prices. There are only bungalows with prices ranging from $ 20 to $ 100. Huba Huba, located on the other side of The Beach Resort, takes about 40 minutes across the forest, slightly up and down the road. But Huba Huba’s bungalow is lovely, with balconies on each bungalow for sunset views. Because Huba Huba is so beautiful always in full condition, it is difficult to book. Bungalow prices range from $ 30-40. The sea in front of Huba Huba and Robinson resort is very beautiful, slight waves in the dry season, and strong waves in the rainy season. The water here is very clear and clean. It is very fantastic to soak in the cool water for hours. But Huba Huba is a bit sad at night while the Beach Resort has bars and is more crowded. However, if you go with your lover, you should choose Huba Huba to enjoy private space and absolute tranquility. Take your loved ones and watch the stars on the bridge directly to the sea. Talu (tents and hammocks $ 5, dorm $ 7.5, bungalows $ 20-30). And many other resorts. Eating on the island is expensive. Delicious dishes range from $ 4.75 – $ 7.50 per serving. In peak season, there are delicious BBQ dishes with freshly baked seafood at $ 7.5. You can eat at Lazy Beach Resort on the other side of the island, also cross the forest to reach, but the road is very flat and easy to go. The food here is better than that at The Beach Resort. The food here is usually about $ 0.75 – $ 1 less. You should try fried fish with sweet tomato sauce, served with rice at $ 6-6.5. Lazy Resort also has BBQ facilities. Lazy’s restaurant is very nice with many beautiful chairs, restaurants here are much better than at the Beach. Lazy’s restaurant has a view overlooking the sea to watch the beautiful sunset. 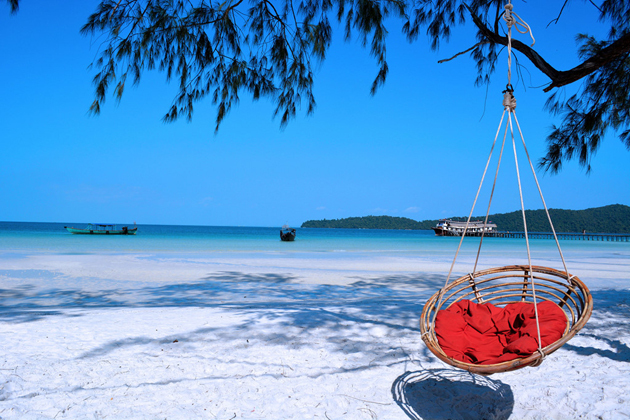 The most attractive place on Koh Rong Samloem is the Saracen Bay, with a pristine white sandy beach 3km long. There are many routes that allow visitors to visit other beaches and explore the scenery on the island. Saracen Bay also has a bridge connecting the island to the mainland. 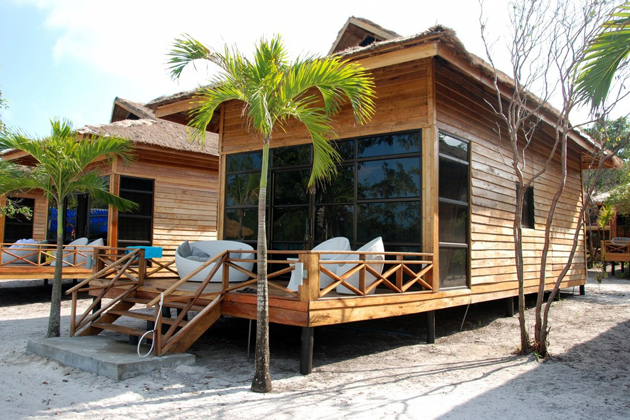 Located in the northern part of the island, Mpay Bay offers a variety of hotels for guests to choose from, including private homes, motels and luxury hotels built by the sea. The name of this place comes from village Number 23 because in the Khmer language ‘M’pai Bei’ means 23. Scuba diving, boating, and fishing are attractive activities on the island. 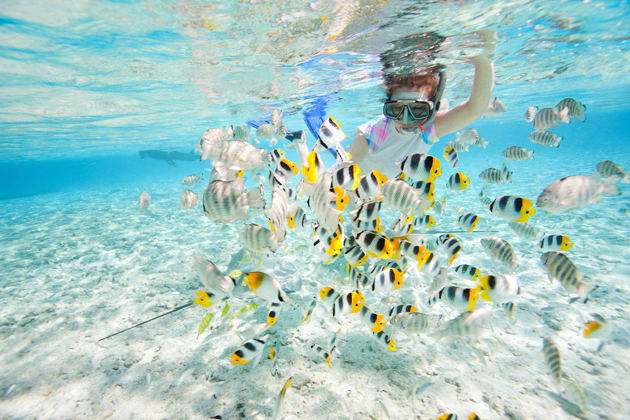 In addition, Koh Rong Samloem also has many suitable locations for snorkeling. 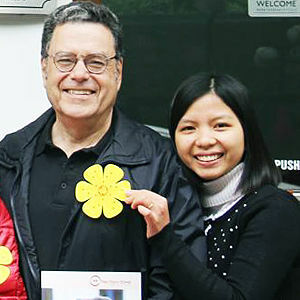 Meanwhile, visitors who love nature can participate in walking tours or forest bike ride tours. Internet and mobile networks cover most of the island, but the data transfer rate is relatively slow, just like the pace of life here. Guests should buy SIM of the Metfone network to enjoy the best service. Koh Rong Samloem Full Moon parties are usually held at the Good Vibz resort located behind the Beach Island Resort on Saracen Bay. 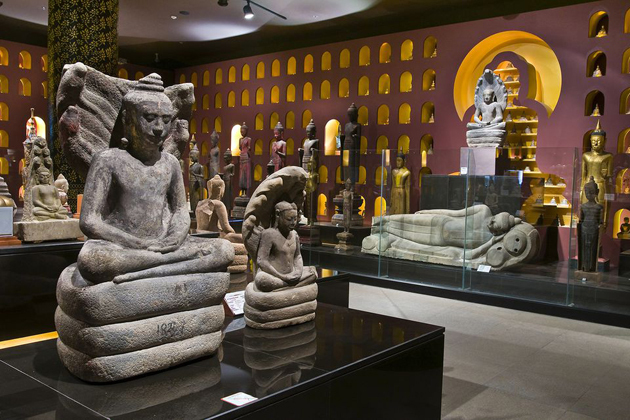 This event draws crowds from the Cambodian mainland.